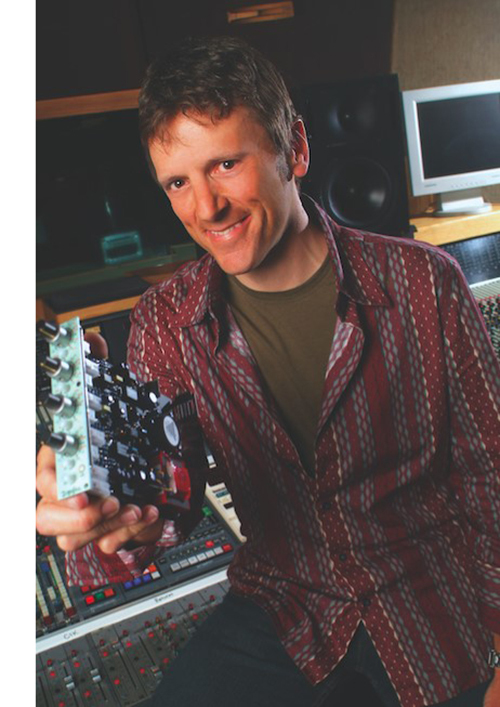 Furman Helps Keep the Hits Coming for Producer/Mixer Michael James! | Furman Power | Purifying power for over 40 years. Furman F1000-UPS, IT-Reference 20i and Power Factor PRO consistently bring clean, reliable power to Michael James’ recording studio. CARLSBAD, CALIFORNIA — Veteran producer and mix engineer Michael James has worked with a long and varied list of artists since he emerged from the streets of New York, where his childhood guardians for a time were literally a motorcycle gang. And over the course of his remarkable journey, he has come to appreciate the important role played by any number of pieces of recording studio equipment in meeting the needs of the artists he serves. None, however, may be any more important than the power conditioning equipment upon which he relies to keep the sounds he creates clean and protected — and for that James relies exclusively on Furman® by Nortek Security & Control. What James does is produce or mix hits for artists like New Radicals, Hole, Edwin McCain, Chicago, and Robben Ford, among many others. With the recording studio as his primary creative tool, the foundation of all this hit making magic is making sure his mix room is properly powered up and ready to roll every time he steps inside it. To ensure that, James relies on three special pieces of equipment: the Furman F1000-UPS, and the IT-Reference 20i with Power Factor technology. James also needs to hear sound especially well and the Furman IT-Reference 20i is another hugely important part of his daily studio work. Like James, sound engineers worldwide trust Furman to bring out the maximum potential of all connected equipment. Furman products eliminate noise and interference to let all connected audio and video equipment perform at its optimal level, enabling studios to fully realize their creative visions. And regarding instrumental performances, James still relies on his older Furman Power Factor PRO, particularly for working with guitar and bass amplifiers. Dynamics are what brings a performance to life. A super quiet noise floor is essential to let the soft passages shine. Furman’s Linear Filtration Technology (LiFT) reduces differential AC noise linearly across a very wide bandwidth to deliver a lower noise floor for your audio system and improved picture on your video display. During a career spent doing just about everything one can do in the music biz, James has worn many hats, including solo recording artist, session musician, major label A&R executive, indie label founder, educator and, of course, producer and mix specialist. He has become one of the most respected and sought-after creative consultants in the pro-audio industry, providing suggestions and preset design for new products. His most recent endeavor has him composing music for commercials for Cessna Aviation and other premium manufacturers, which also led to landing the gig to score the music for an upcoming film about Chuck Leavell, the musical director for The Rolling Stones, John Mayer and David Gilmour. As James shows no signs of slowing down, he’s comforted by the fact his Furman equipment doesn’t either. “Sound quality is everything to me and Furman is what delivers it over and over again,” he concludes. Furman® is legendary for developing award-winning, innovative power management products. 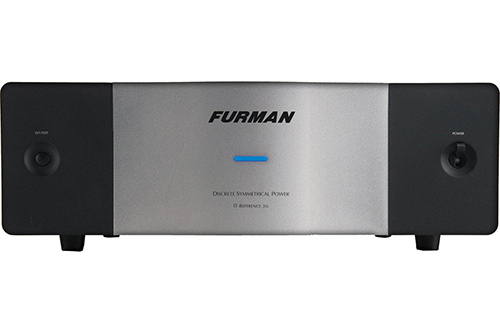 Furman power and energy management products give audio/video systems the pure, noise-free power they need for superlative performance while protecting them from damage caused by power surges and lightning. The brand addresses all major electronic markets, including professional audio and video, the music industry, broadcasting, audio/video recording, office equipment and home theater. Nortek Security & Control LLC (NSC) is a global leader in smart connected devices and systems for residential, security, access control, and digital health markets. NSC and its partners have deployed more than 4 million connected systems and over 25 million security and home control sensors and peripherals. Through its family of brands including 2GIG®, ELAN®, Linear®, GoControl®, IntelliVision®, Mighty Mule® and Numera®, NSC designs solutions for national telecoms, big box retailers, OEM partners, service providers, security dealers, technology integrators and consumers. Headquartered in Carlsbad, California, NSC has over 50 years of innovation and is dedicated to addressing the lifestyle and business needs of millions of customers every day. For further information, visit nortekcontrol.com.